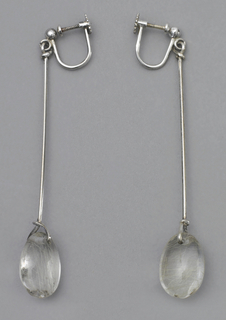 See more objects with the tag curved, oval, mineral, ridged. This is a Bangle bracelet. 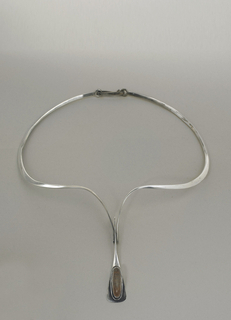 It was manufactured by Georg Jensen Sølvsmedie. It is dated 1968 and we acquired it in 2016. 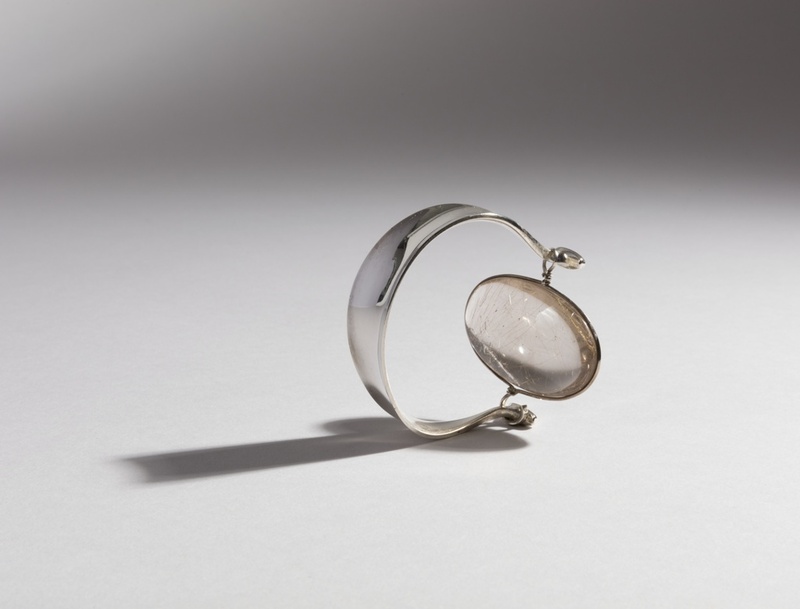 Its medium is silver, rutilated smoky quartz. It is a part of the Product Design and Decorative Arts department. 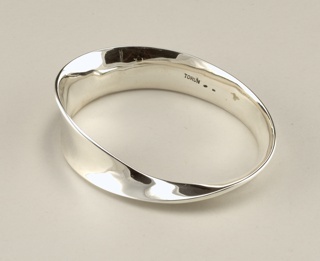 This bracelet is characteristic of Bülow-Hübe’s work for silver manufacturer Georg Jensen with its simple yet elegant curving forms that were not designed to appeal solely to the wealthy. 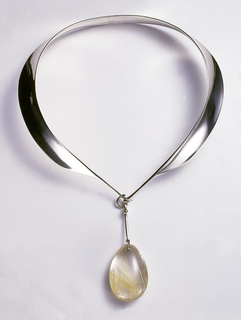 Bülow-Hübe favored glass or semi-precious stones rather than precious gems, and intended her jewelry to be sculptural extensions of the human form.